From Ababu to Babu Owino sworn in the name of Raila Odinga. - Bana Kenya News, Real African Network Tubanane. Home featured From Ababu to Babu Owino sworn in the name of Raila Odinga. From Ababu to Babu Owino sworn in the name of Raila Odinga. Embakasi MP Babu Owino on Thursday caused a stir at Parliament when he mentioned Raila Odinga while being sworn-in. Babu Owino brought parliament to live after a gig when he was being sworn in. 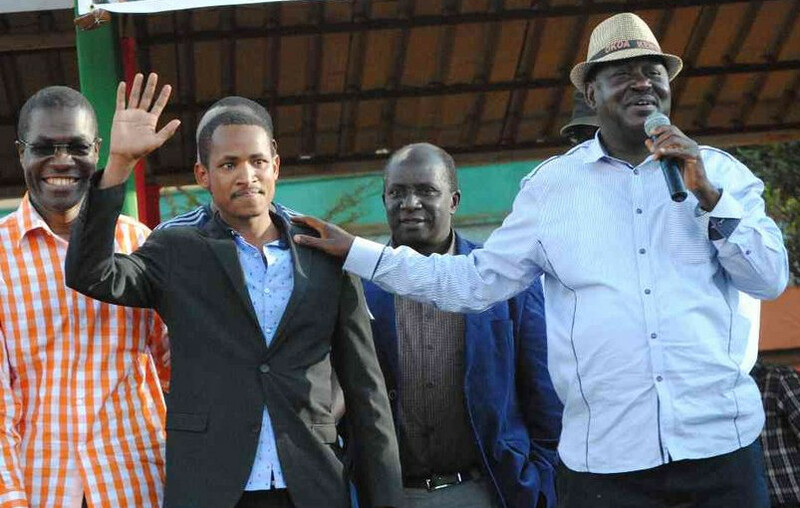 The Embakasi MP Babu Owino on Thursday caused a stir at Parliament when he mentioned Raila Odinga while being sworn-in and the funny words he used during campaigns. "I, Babu Owino, having been elected MP, do swear in the name of almighty God that I would bear true faith and allegiance to the people of the Republic of Kenya and Raila Odinga...that I will obey, respect uphold ... so help me God," Babu said. The clerks of the National Assembly presiding over the swearing-in had to ask Babu to retake the oath which he did, but he finished with the word 'Tibim'. "I will obey, respect and uphold so help me God. Thank you. Tibim," he said. "After finishing prayers you say 'Tibim' and the devil comes out running. In the political life, it means a political revolution," he said. The ODM die-hard Mp was sworn in with the word of God throughout mentioning the NASA leader Raila Odinga. This comes after Ababu Namwamba used the word of Raila Odinga in 2007 which shocked many people in Kenya.